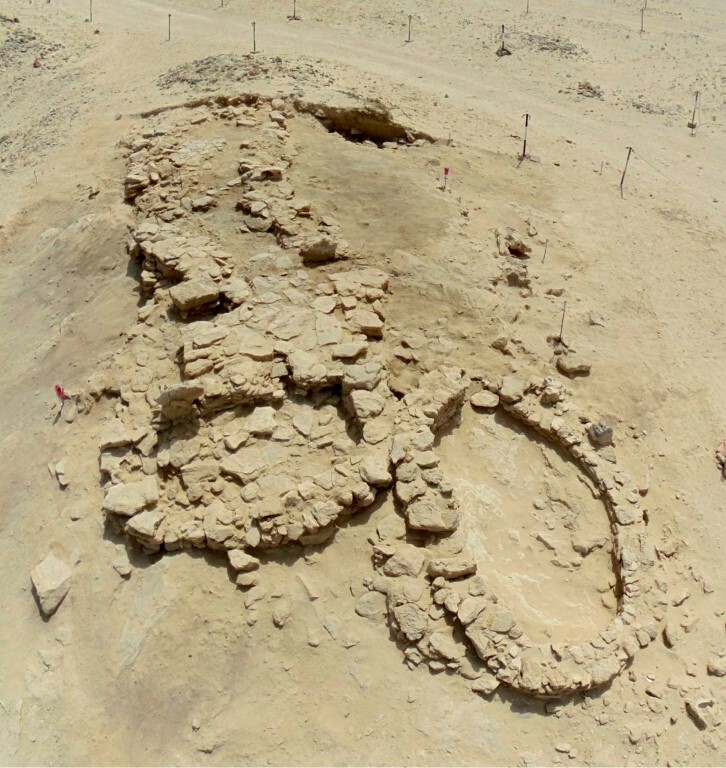 ABU DHABI, 26th June, 2018 (WAM) -- Excavations by archaeologists from the Department of Culture and Tourism – Abu Dhabi (DCT Abu Dhabi) on the island of Marawah have revealed the earliest village yet discovered in the UAE. According to new radiocarbon dates the buildings date to nearly 8,000 years ago to a time called the ‘Neolithic period’, or the New Stone Age. The houses uncovered at the site are remarkably well-preserved, and experts believe the houses were used for several hundred years. The houses consist of several rooms and outdoor spaces for the keeping of animals and the preparation of food. In total there are estimated to be maybe up to 10 houses in the village. Each of those excavated so far show a remarkable similarity in design and construction. Experts are currently trying to digitally recreate the village to understand how it looked nearly 8,000 years ago. Although finds from this time have been discovered elsewhere in the UAE, until now no architecture had been found. It had been assumed by researchers that the inhabitants of the UAE at this this time were only nomadic pastoralists - people who moved around with their sheep and goats. But the discoveries at Marawah turn this idea on its head. Experts believe the evidence indicates that on this island people began to settle on one place and build permanent structures. 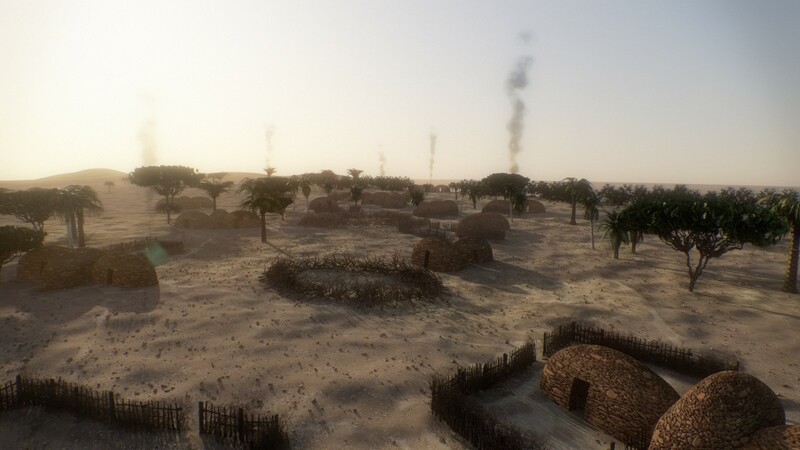 Elsewhere in the ancient Middle East this process was linked to the development of agriculture, a process that is sometimes called The Neolithic Revolution; at Marawah it is believed an entirely novel process led to the construction of the village. Mohamed Khalifa Al Mubarak, Chairman of DCT Abu Dhabi, said: "The expertise of the team of archaeologists at the Department of Culture and Tourism is continuing to reap rewards, and their work is allowing us to deep-dive into the Emirate’s history, piecing together an intriguing and extraordinary story of the earliest known inhabitants of the Emirate of Abu Dhabi. The exciting discoveries they have uncovered thus far serve to showcase Abu Dhabi’s earliest years, and help us accurately map out our development by seeing how far we have come. As we continue to invest in these archeological excavations, we will no doubt further understand our ancestors and our land, and share these findings with the world." At Marawah, experts believe it was the bountiful resources of the Arabian Gulf, rather than growing crops, that likely convinced people to settle down and live in the one place. In this way, the village of Marawah can be seen as the first example of the modern towns and cities like Abu Dhabi that developed along the Arabian Gulf coast in the recent past. These ancient people realised that the sea provided a rich source of food and economic opportunities that were unique to this region, and they were able to harvest seafood from the ocean that sustained them through difficult times. Experts also believe that the ancient inhabitants of Marawah realised that the Gulf was an ancient ‘superhighway’ that connected them to their neighbours, so they developed sophisticated ship technology to conduct trade and business. The importance of this trade has been revealed by the treasure trove of artifacts discovered at the site. One ceramic vessel found at Marawah, now on display at Louvre Abu Dhabi, is the earliest example of a complete imported trade vessel so far found in the UAE. The discoveries at Marawah are so profound that DCT Abu Dhabi archaeologists are planning to return as soon as conditions permit to further investigate this extraordinary ancient village. Their work will undoubtedly shed further light on the origins of what is now recognised as the earliest known village built in the UAE.